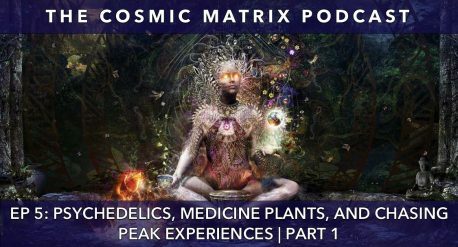 In the 2nd hour of episode 5, we go deeper into the alien agenda and the hyperdimensional matrix in light of psychedelic experiences. 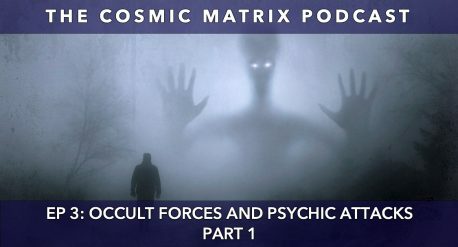 We discuss the New Age alien savior program, Social Engineering, MKUltra and Mind Control projects in relation to CIA COINTELPRO, the creation of the hippie counter culture, burning man and much more…[only for members]. 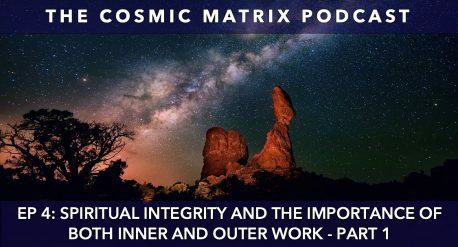 In the 4th episode of the Cosmic Matrix podcast, Laura and Bernhard discuss spiritual integrity and what it means to engage in inner and outer work. Many well-meaning “truth seekers” are overly focused on the external world while lacking a balance of sincere inner work and embodiment. On the other side of the coin, there is the New Age trap of too much “self-work” resulting in narcissistic tendencies, whereas people are overly focused on their internal experience without understanding the world around them, which often results in solipsism. 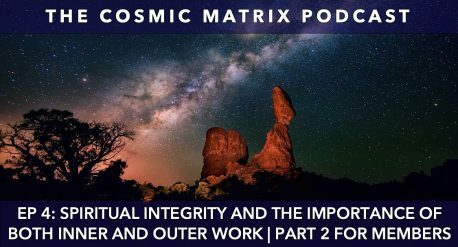 In the second hour of episode 4, we go deeper into the hyperdimensional aspect of the matrix and the Agent Smith syndrome. 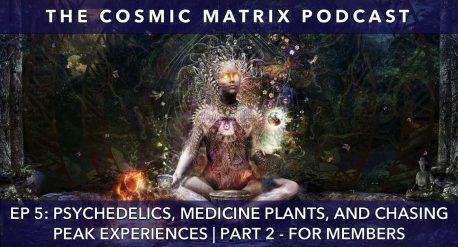 We look at “mainstream” spiritual teachers who have no awareness/understanding of even the basics of the 3D Matrix and hence feed into the socialist New World Order agenda via becoming unconscious “matrix agents”. Furthermore, we explore what it means to be “spiritual”, the topic of “resonating” with something (or not), and much more…[only for members]. 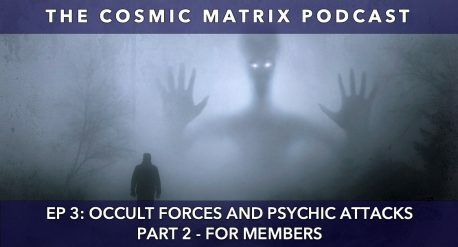 In the 2nd part of episode 3, we look at the genetic modification of humanity in light of the hyper-dimensional matrix, the various traps of mistaking symptoms for causes when “fighting” the 3D matrix; we give practical tips on how to protect oneself from occult/psychic attacks, and much more…[only for members]. Everyone is suffering to varying degrees. Do we have to suffer and what is the way out? 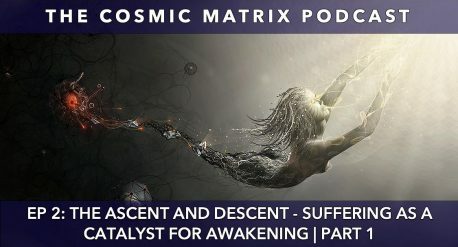 In this episode, we explore the role of suffering in light of the process of awakening, its teaching function, and how to catalyze suffering into deeper healing. 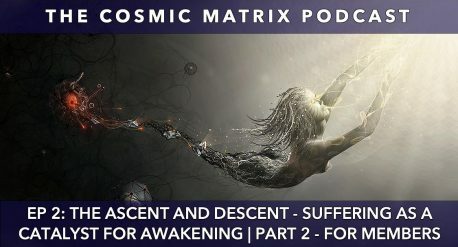 In part 2 of episode 2, we go deeper into occult forces interferences on the Path towards Awakening, sharing our personal experiences, the importance of being grounded and embodied, New Age fallacies, and much more…[only for members]. 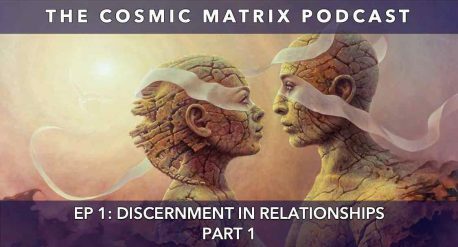 Bernhard Guenther and Laura Matsue talk about discernment in relationships, different types of relationship, what it actually means to be in a “conscious” relationship and how to prepare for one among relating topics (Part 1). 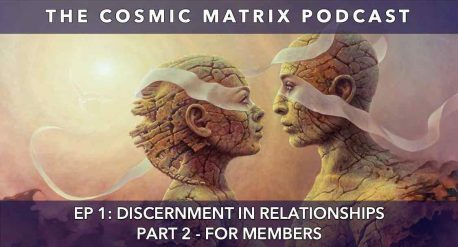 In part 2 of episode 1 we go deeper into occult forces and hyper-dimensional interferences in relationships, wound bonding, distortion of the New Age Twin Flame concept, the alchemical marriage of the inner male and female, and much more…[only for members].